Auto-Recurring Payments allow you to set up an ongoing recurring payment or Subscription to auto-charge your client. 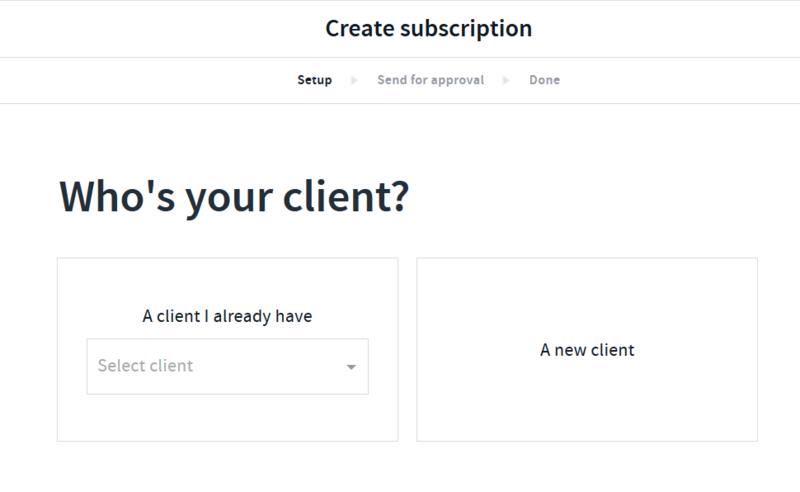 Select your existing client or create a new one. 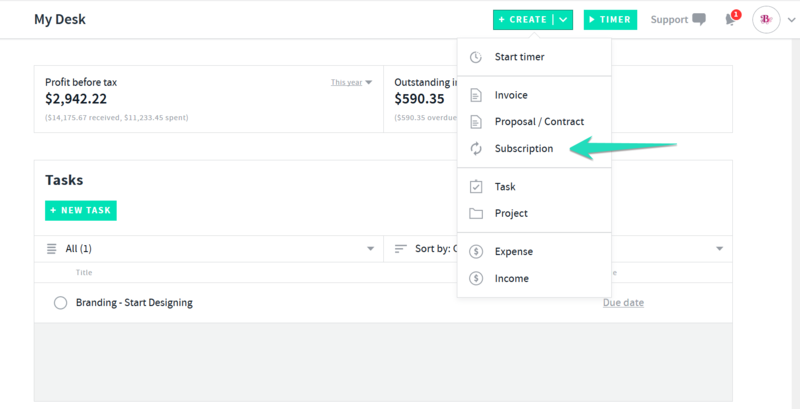 Then set up the terms of the subscription and email the subscription details along with a link to authorize the subscription to your client. 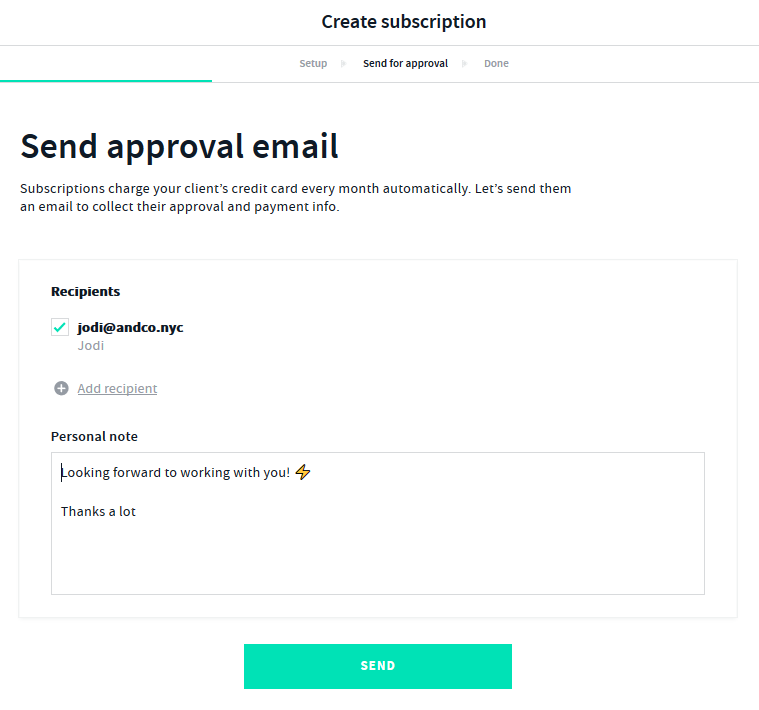 Once you have set up the subscription terms, select NEXT and complete the Send approval email details so your client can approve the subscription via the link in the email. 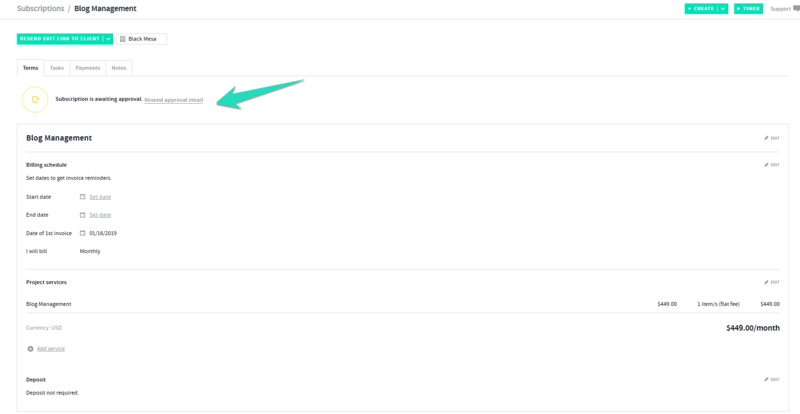 You can add yourself as a recipient so you can get a copy of the email sent to the client as well eg. client view. Your client will receive a email to authorize the subscription. 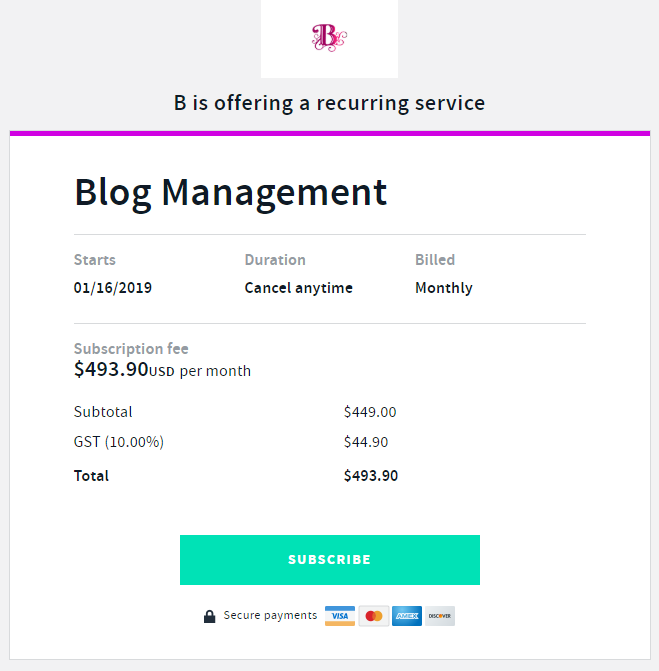 Also your client can authorize and add their the payment details and cancel the subscription simply by selecting the link provided in the initial email. Your client will be directed to enter in their credit card details via the payment page when they select to > subscribe. Once their payment details have been authorized you will get a email confirmation from the payment provider eg WePay or Stripe. 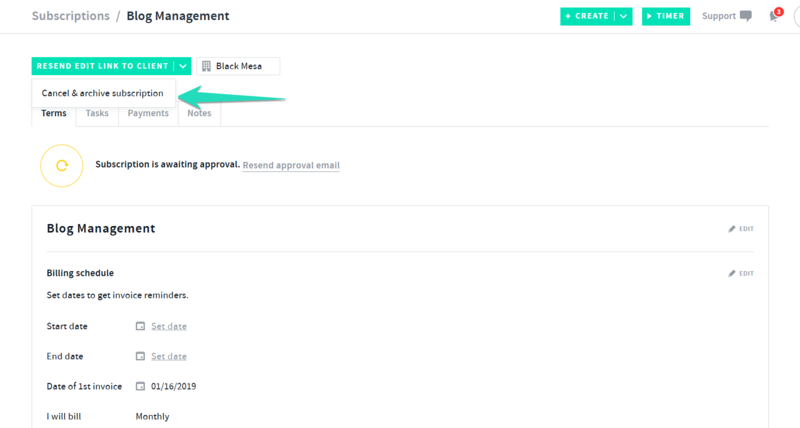 Your subscription will also be updated as approved and you will get a in app notification and email confirmation. 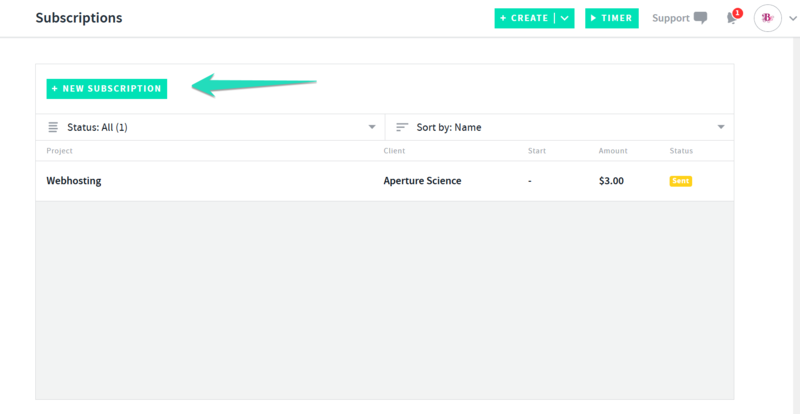 You can also add notes to the subscription for your own reference simply select the notes tab within the subscription. If the credit card of an ongoing subscription is canceled, expired, marked as fraud or otherwise interrupted our system will attempt to re-charge it in three days. 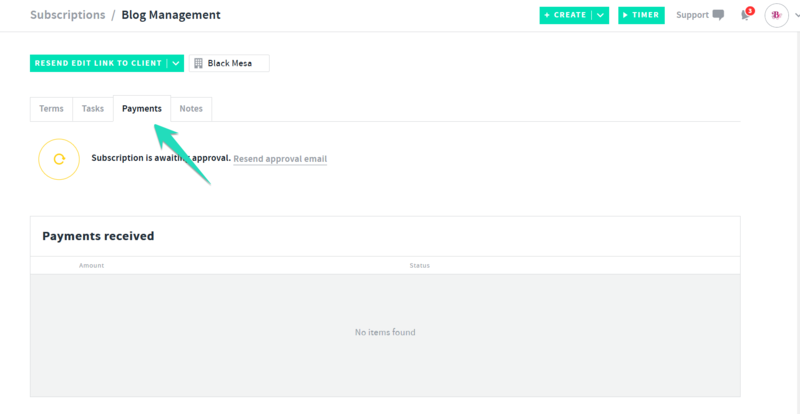 After three attempts, If the subscription cannot be processed it will be cancelled and both user and client will get an email notification. The Subscription will need to be recreated. 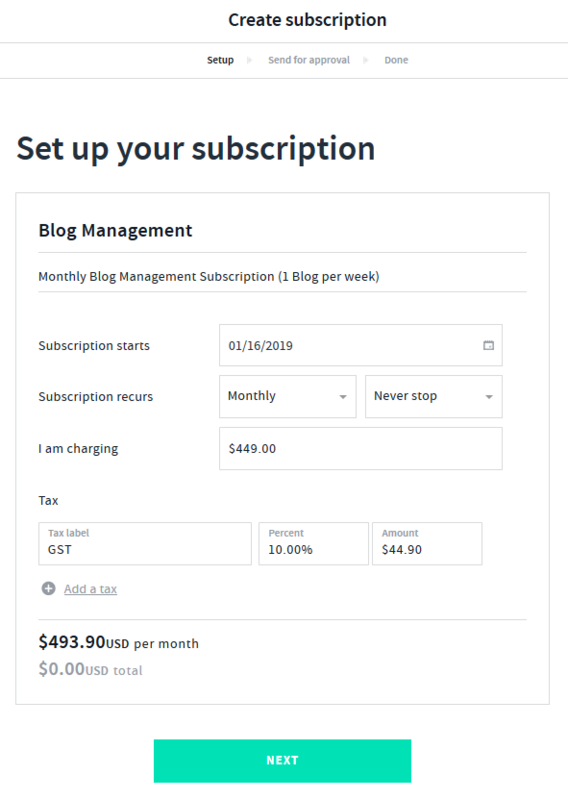 Subscriptions can only be set up using a clients authorized credit card via your connected payment gateway (i.e., Stripe or WePay). Just a heads up! 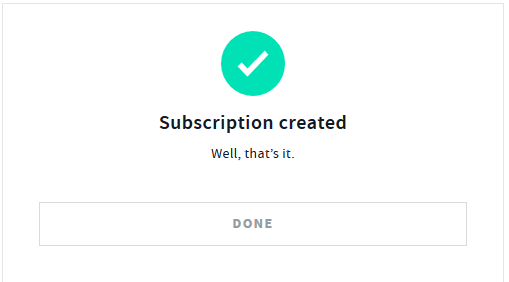 Subscriptions will automatically fail if the charged amount is less than $3. 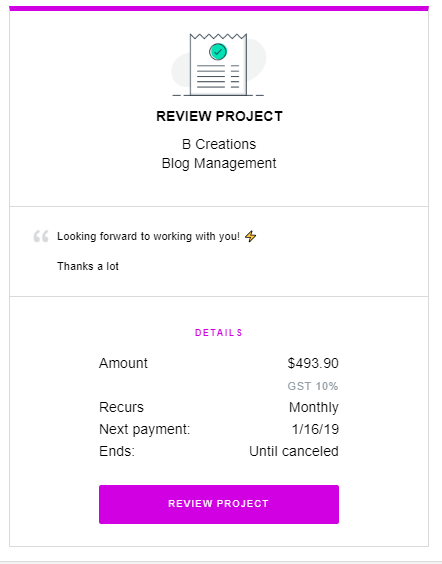 The client will be emailed a payment receipt automatically every time a subscription payment is processed and they can also view the payments processed via their personal subscription link. If you enter a previous start date for the subscription, payments will be back dated, meaning the payments will be processed on the recurring schedule as of the start date entered in the terms.